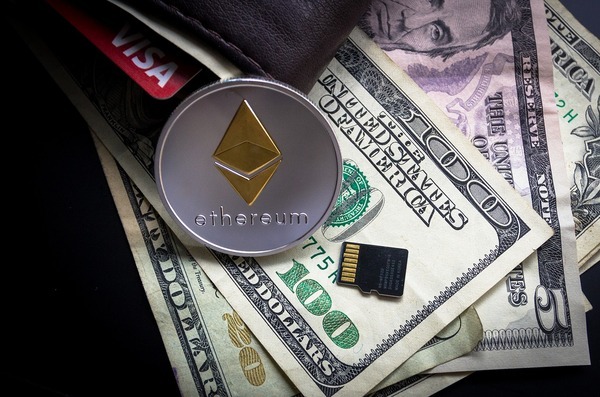 There are currently around 500 ERC20 tokens that have been issued by blockchain startups who utilized the Ethereum blockchain to create their own token projects. Some of these tokens have outperformed the market and ended up among the top 20 largest cryptocurrencies, while many others have lost over 90 percent of their value and are struggling to stay relevant. In this guide, you will discover 15 of the best ERC20 tokens to consider and research if you want to diversify your portfolio to invest in specific cryptocurrency projects. Binance Coin (BNB) • Binance Coin (BNB) allows users to receive discounts on trading fees on the world's leading crypto-to-crypto exchange, Binance. • This ERC20 token is being used to incentivize traders to trade on the Binance platform. OmiseGO (OMG) • Backed by leading Thai payments operator Omise, OmiseGo aims to effectively become the "PayPal of cryptocurrencies" by creating easy-to-integrate payment gateways for digital currencies within existing financial networks to help the unbanked population. • The OmiseGo token, OMG, can be used to stake - as it is a proof-of-stake network - which, in turn, allows holders to receive a small share in the network's transaction fees. 0x (ZRX) • 0x is a protocol based on the Ethereum network that enables the trustless exchange of cryptographic assets. ICON (ICX) • The ICON network enables independent blockchains to connect and transact with one another. Zilliqa (ZIL) • Zilliqa is a blockchain platform focused on scalability, which it aims to achieve through the implementation of "sharding". Maker (MKR) • Maker is a decentralized autonomous organization (DAO) built on the Ethereum blockchain that has developed a US dollar-pegged stablecoin called Dai. • The MKR token is an ERC20 token that is used to maintain the value of the Dai by being created and destroyed in response to Dai price fluctuations to maintain the price of Dai at $1. Pundi X (NPXS) • Pundi X is a payment platform built on top of the Ethereum blockchain that aims to boost cryptocurrency adoption at physical retailers by providing a POS terminal that accepts crypto payments. • The platform supports retail payments, inventory and order management, marketing and digital loyalty programs. BAT (BAT) • The Basic Attention Token is an Ethereum-based decentralized advertising exchange platform that is integrated into the Brave browser. Golem (GNT) • Golem connects personal computers in a peer-to-peer network to enable users to rent other users' storage space in exchange for a fee paid in cryptocurrency. HuobiToken (HT) • The Huobi Token (HT) was launched by popular cryptocurrency exchange Huobi and functions in a similar way as Binance Coin. TrueUSD (TUSD) • TrueUSD is an ERC20 token that is backed by US dollars to maintain the stablecoins's value. Bancor (BNT) • Bancor held one of the most prolific ICOs of 2017 when it managed to raise over $153 million to develop a decentralized liquidity network for digital assets. • Bancor's BNT token is used as an intermediary token to trade digital assets with one another. TenXPay (PAY) • TenX is a Singapore-based blockchain startup that provides a cryptocurrency debit card that enables users to spend their digital currency anywhere where bank cards are accepted. PowerLedger (POWR) • Power Ledger is a blockchain-powered, decentralized energy exchange network that enables the sale of surplus renewable energy. Dragonchain (DRGN) • Dragonchain focuses on facilitating the integration of business applications onto blockchain networks. • The project, which was originally started by Disney, provides a commercial platform for developers to easily and rapidly deploy blockchain applications. If you want to learn more about Ethereum, digital currency investing, and the new finance market, subscribe to the Bitcoin Market Journal newsletter today and join our growing community!